The goal of being fit and healthy is currently on top of the bucket lists of many individuals. There is a clamor to look good and one way of achieving this is through proper physical training. Exercises can vary in forms and disciplines but the best way to maximize your benefits when exercising is by learning key information. 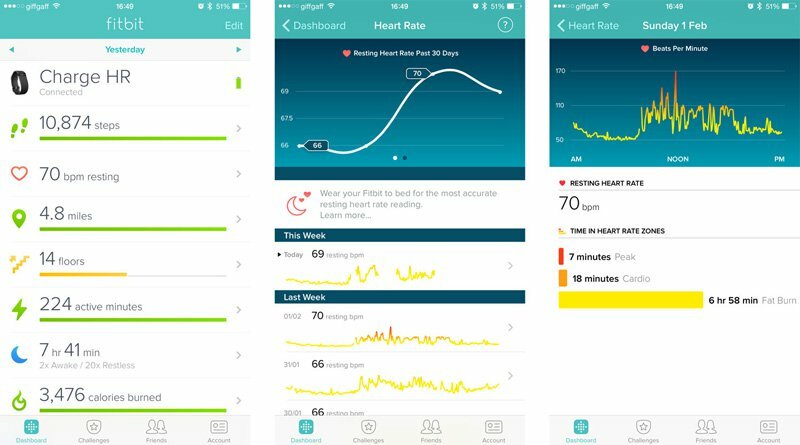 Knowing your target heart rate, numbers of reps and calories burn including sleep data are among the things that a trusted heart rate monitor or top fitness tracker can provide you. One good example of one of the best fitness trackers is Fitbit Charge HR. When people talk about fitness tracking wearables the brand Fitbit usually comes to mind. It is because Fitbit brand of fitness trackers has a good reputation when it comes to value for money. Fitbit Charge HR was first introduced early last year. It is designed to provide accurate data that includes comprehensive activity tracking, heart rate monitoring, sleep pattern data and some added features. The Fitbit Charge HR can be categorized as an all-in-one fitness monitor that can help in achieving one’s fitness goal. PurePulse Heart Rate is an exclusive feature that continuously monitors the heart rate. It is fully automatic and can provide simplified heart rate zones. SmartTrack is another patented feature of Fitbit Charge HR that automatically records your physical activity. With the help of the downloadable Fitbit app, you can easily access your activities via compatible devices. Exercise Mode will allow you to view real time exercise statistics while providing you easy access to your activity summaries via the Fitbit app. Auto Sleep+Alarms is a special feature of Fitbit Charge HR that automatically records sleep data. This feature also comes with a gentle alarm that you can set periodically. Workouts + All Day Activity feature comes in handy in providing detailed information of your physical activity. It will record and show you your fitness progress for the day. 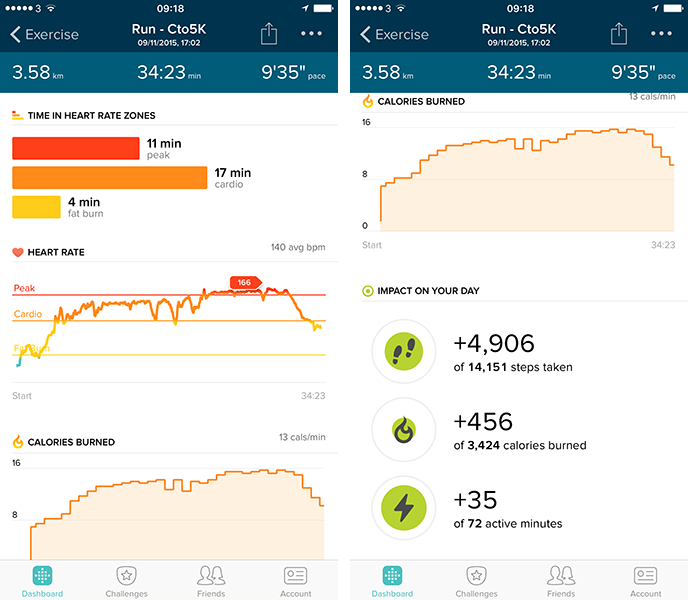 Fitbit Charge HR is capable in recording distance, calories burned, active minutes, floors climbed and number of steps. Wireless Synching feature is capable of transferring data and synching stats via wireless connectivity to compatible smartphones and other devices. Caller ID + Watch feature conveniently provides accurate time and stats display. It will also send mobile phone call notifications with compatible devices. Long Battery Life is another outstanding feature of Fitbit Charge HR. Going head to head with other best fitness trackers in the market today; this fitbit charge fitness monitor is good to function for 5 full days meaning less frequency of charging. OLED Display perfectly displays data that can be viewed easily. The display screen is easy to view and can be seen in both indoor and outdoor scenarios. Quick View feature conveniently displays data with simple commands via movements. One example of this is when your raise your wrist, time of the day will be displayed. 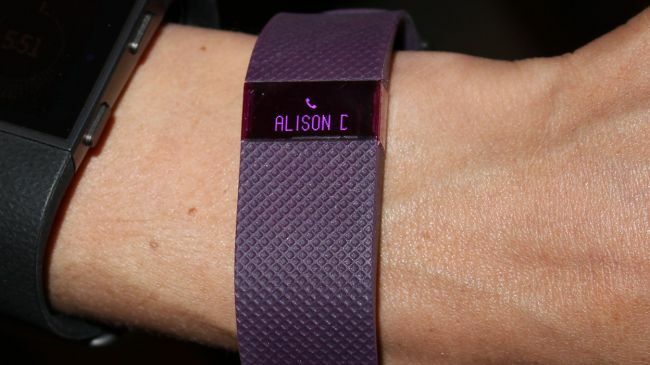 Other features will also be displayed by gently tapping the Fitbit fitness tracker watch. Simple and Streamline design offers stylish fitness tracker watch that is made from quality materials. It is very comfortable to wear and it can tolerate sweat, water splashes and gentle rain. Classic watch buckle type closure makes the fitbit charge hr safely secured without having to worry of snapping it off from your wrist during physical activity. Single Features Button is an amazing feature that will allow you to access your data without any complication. It is very simple to use. Easy Charging with the included USB connector cable, charging the Fitbit Charge HR is easy at plug and play feature. Simply connect the fitbit fitness tracker watch to your computer and it will begin charging. When it comes to power, the Fitbit Charge is probably the only one that has a longest battery life. Once fully charge, this chargeable fitness health tracker will run for up to 5 days. Performance wise, the fitbit charge hr provides all the data you’ll need when tracking your fitness activity information. It can accurately monitor actual steps than any other fitness devices and has capability in distinguishing random movement thus eliminating errors. With a high tech feature that automatically turns on, it can identify when you are starting your exercise without having to set it off. For serious health and fitness buff the Fitbit Surge HR is highly commendable. It has all the features and perks of what should best fitness trackers should be. Best of all it is very easy to use and provides accurate data that many active individuals are happy using it. Basing on the fitbit charge reviews on Amazon, majority of people who bought it provided positive feedback. 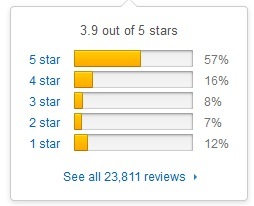 The 5-star ratings from consumers point out to the advanced features, simple design and accuracy of this product. Other customers raved about its comfy watch design that suggested that they loved the way Fitbit Charge HR feel on their wrist that they almost forgotten that they were wearing it. Even skeptical buyers were thrilled to share their experiences via the fitbit charge reviews and expressed that this fitness tracker watch provided them with accurate fitness activity information. 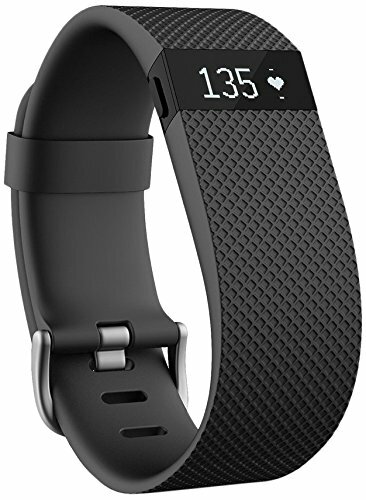 Fitbit Charge HR Wireless is easily available online and can be bought from Amazon or other online shops and electronic gadget stores. No doubt about it that Fitbit has already changed how the world view exercise activity. Like any popular fitness tracker watch device, the fitbit charge hr watch provides the usual info. But what sets this health device from the rest is the accurate reading and uncomplicated features. If you need an all-in-one dependable heart rate monitor fitness tracker watch, the FITBIT CHARGE HR is a definite steal and true value for money. It boasts accurate readings, comfy fit, simple design, dependable app and long battery life among its many features which means that everything you’ll ever wanted from a fitness tracker is all packed inside the Fitbit Charge HR.